BOMBO – Express FC returned to winning ways thanks to a 1-0 win over Ndejje University at the Arena of Visions in Bombo. 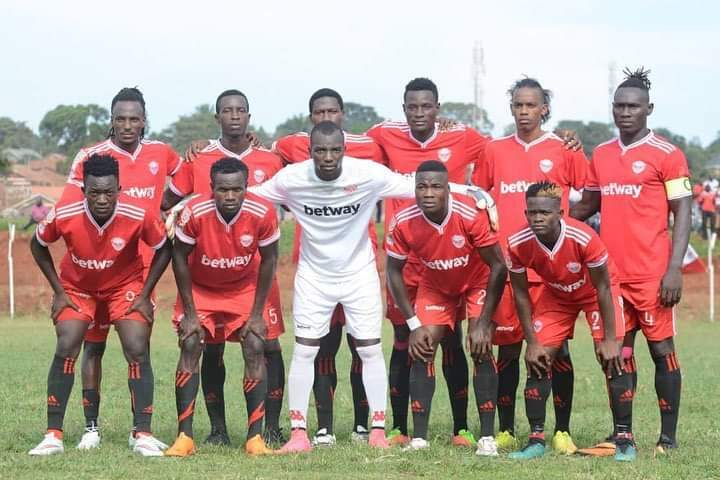 In one of the 5 STarTimes Uganda Premier League games played on Tuesday, Mubaraka Nsubuga scored the only goal of the contest with 77 minutes of the game played. Having gone into the game feeling some pressure, George Ssemwogerere who replaced Kefa Kisala as Express head coach at the start of this month must be relieved to see three points after a section of fans called for his head following the 1-1 draw at home to Maroons in their last contest. In the game proper, Express never found it easy especially in the first half, struggling to create chances. Their first major statistic in the game was the yellow card shown to midfielder Lawrence Bukenya on 45 minutes. With time running out in the second half, Disan Galiwango who had an average performance against Maroons, was also booked. Two minutes later, Mubaraka who has been struggling for form lately, scored what proved to be the match winner, rebounding after keeper saves substitute Tony Odur’s initail attempt. Ndejje University who were on some kind of roll lately, winning all two of their games going into Tuesday’s encounter, could not make it three in as many games as they ended up on the losing end. The win for Express sees them climb into 8th on the log with 28 points from 21 games. For Ndejje, they remain 3rd from bottom having gathered 16 points with 9 games to play. After Maroons winning 3-0 at home to Paidha Black Angels on the same day, Ndejje are now 6 points away from safety.